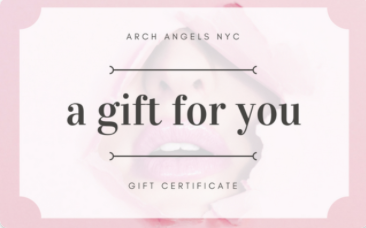 Interested in Purchasing an E-Gift Card? NO FULL OR PARTIAL REFUNDS WILL BE GIVEN AFTER ANY SERVICE IS COMPLETED. Special circumstances may be made if there is an issue with your service with regards to dissatisfaction or wanting a different shape/color, however, a refund is not guaranteed as the service was already carried out and tattoos are not physical, tangible items. If consultations are scheduled on the same-day as the initial session, then the consultation fee will be waived. If consultations are not scheduled on the same-day, a $50 consultation fee will be charged. Please arrive on time for your appointment. Being late for your appointment sets the following client’s appointment back. We respect our client’s time and expect the same courtesy. If you arrive more than 15 minutes late for your appointment, we reserve the right to cancel your appointment and your deposit will be forfeited. Should you need to cancel or reschedule your microblading appointment or touchup, we kindly ask for 48 hours notice in order to fill your appointment. If 48 hours notice is not provided, your deposit will be forfeited and if you rebook at a later date, a new deposit will be required. If a deposit was not collected, you will still be charged a cancellation fee of $175. If you do not show up to your touch-up appointment, your touch-up will be forfeited and does require a separate appointment. Please be sure to print, review and bring with you all of the required client forms (General Consent Form) prior to your appointment. Having these completed and brought in with you will save time during your session.